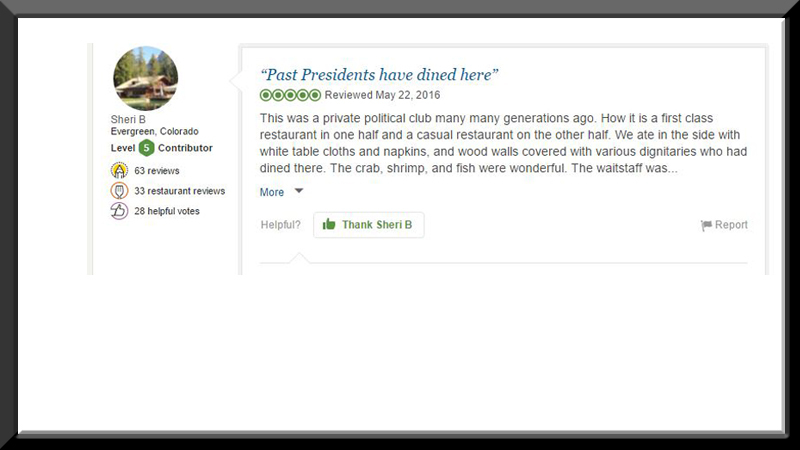 Historic formal dining rooms are a comfortable white table cloth environment perfect for a special evening out or celebrating a special occasion, our Casual Club room and our Outdoor Patio provide a laid back vibe that also serves our full menu plus the option for steamed crabs year round! 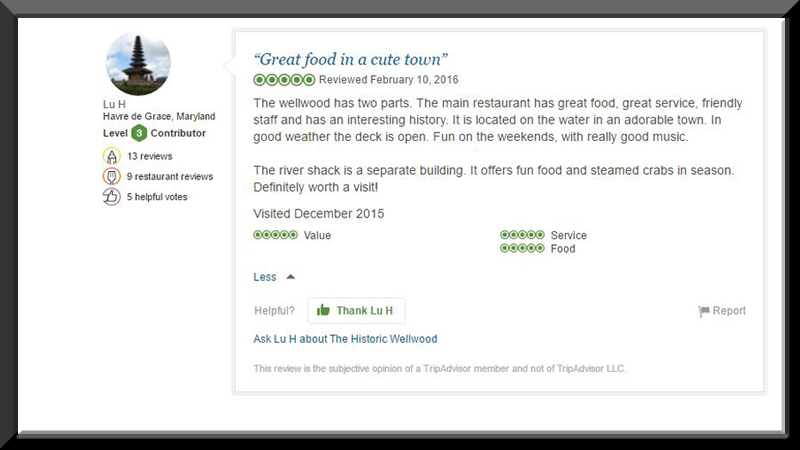 The Wellwood overlooks the scenic North East River in Maryland – a great place to satisfy your desire for fresh seafood. 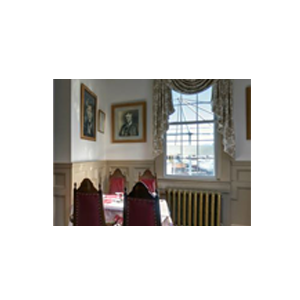 The formal dining rooms feature historic antiques tables and lamps donated to the Wellwood in addition to a bust of George Washington, a lithograph of Abraham Lincoln, and a hand-carved eagle donated by President Theodore Roosevelt. 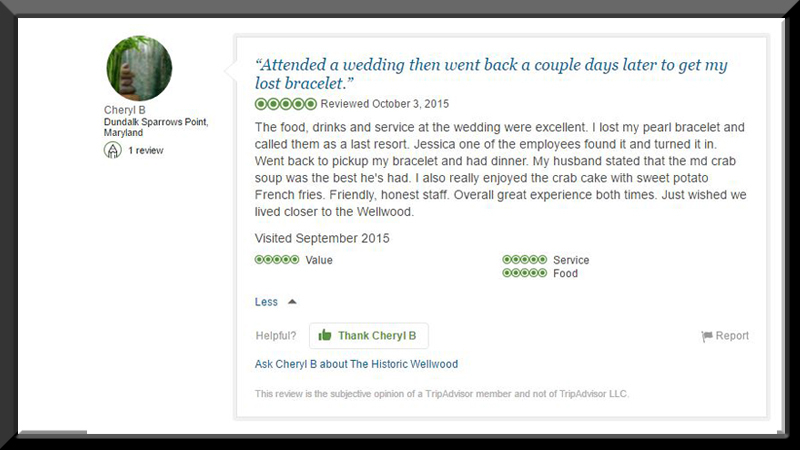 Our dining menu includes our award winning soups such as crab bisque. 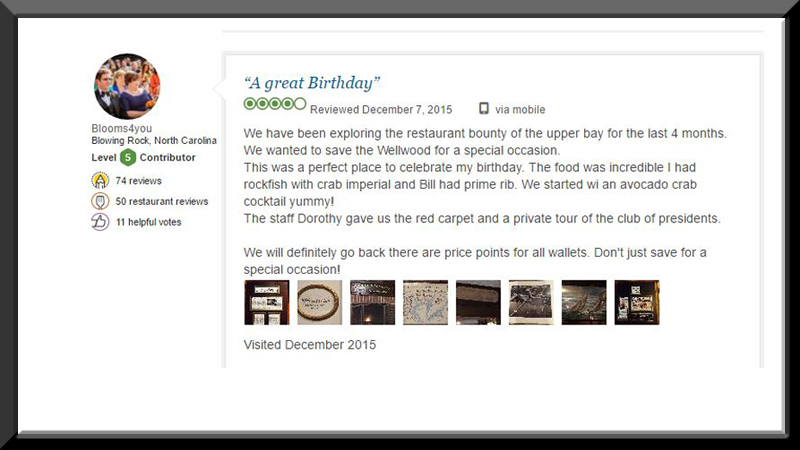 Start out with scrumptious crab dip or drunken shellfish appetizers. Enjoy our many salads with a choice of some of the best homemade salad dressings on the planet. 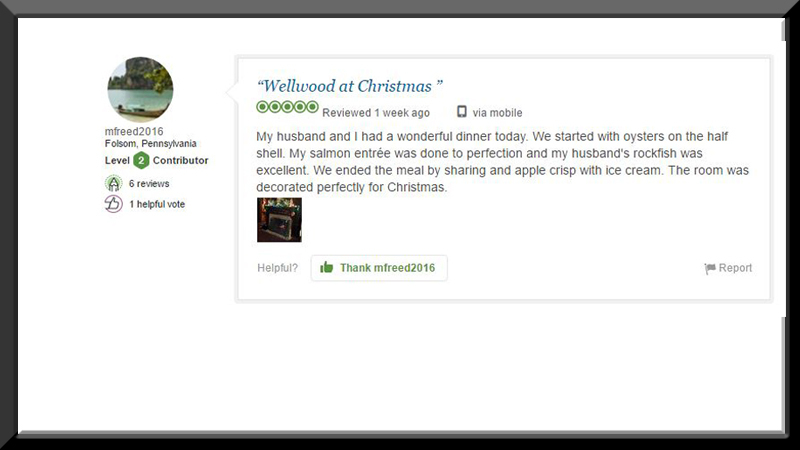 You have many choices when choosing your entrée at The Wellwood - seafood, chicken, pasta, prime rib & hand-cut steaks, sandwiches & salads too! Pair your meal with a delicious cocktail, wine or beverage of your choice. Finish off your evening with one of our signature dessert cocktails! 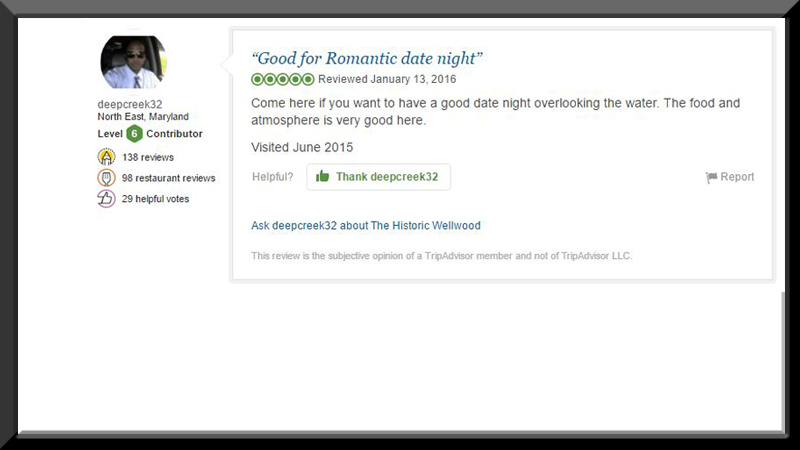 Enjoy the dining experience with an upscale atmosphere featuring white tablecloths, linen napkins and a fireplace (in season) to chase away the cold for romantic evenings. We offer special dining events throughout the year: wine dinners, seafood specials, holiday evenings, special events and our annual Candlelight Valentines’ Day dinner—an event that sells out quickly each year. 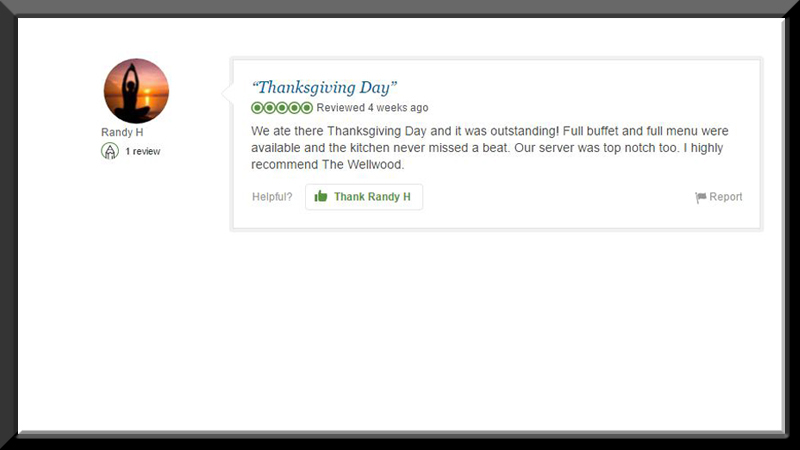 View our events calendar or visit our Facebook page to make plans with family and friends! 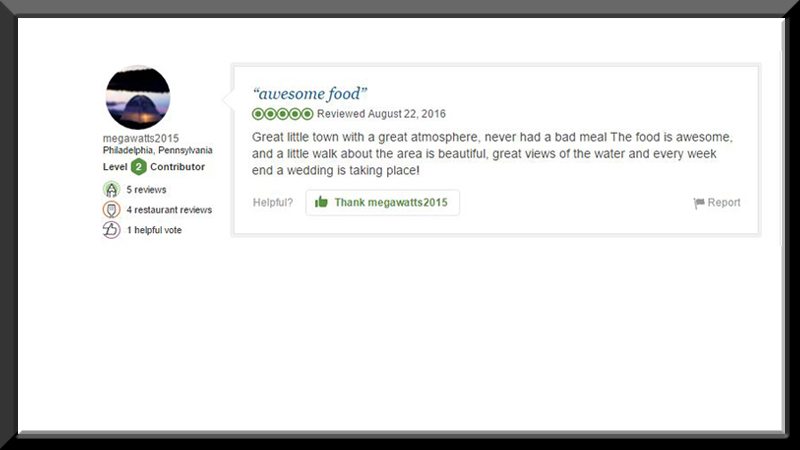 Our stellar service and fabulous menu options are also available for off-site catering. 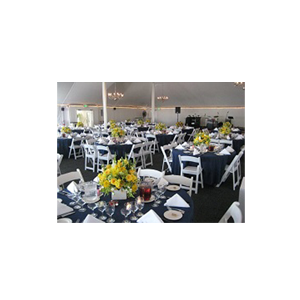 Talk to us about your next special event. 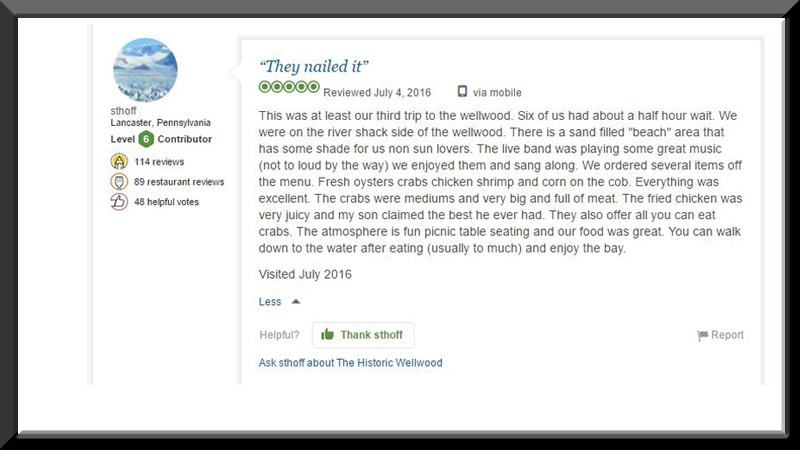 Reservations are not required but are requested for parties of 5 or more in both The River Shack and The Wellwood. 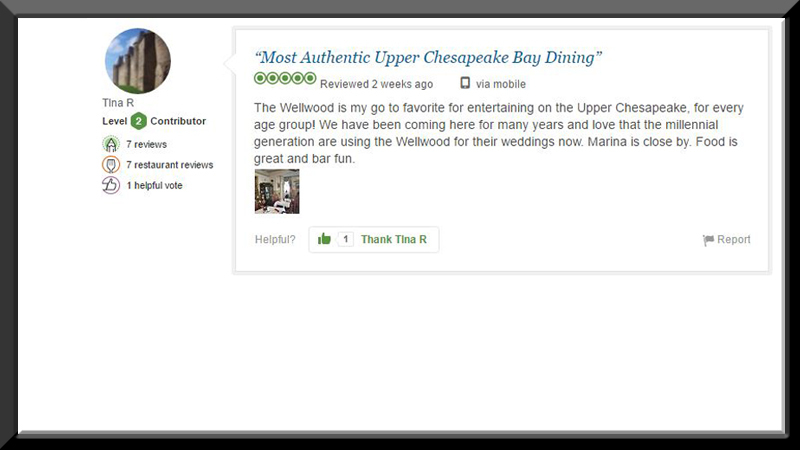 The Wellwood accepts reservations for smaller parties as well. 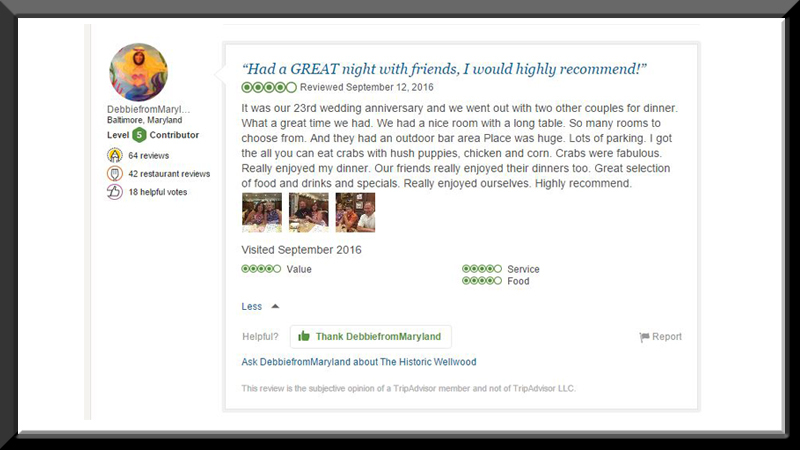 To make a reservation, please give us a call at 410-287-6666 or contact us online. 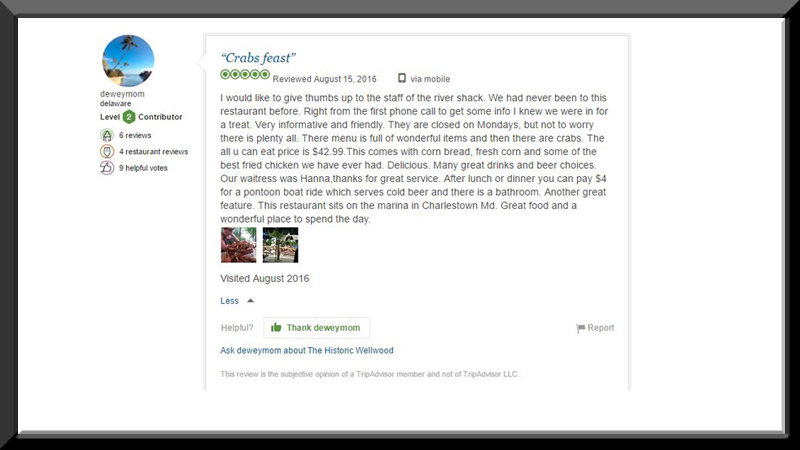 featuring Crabs All Year Long! 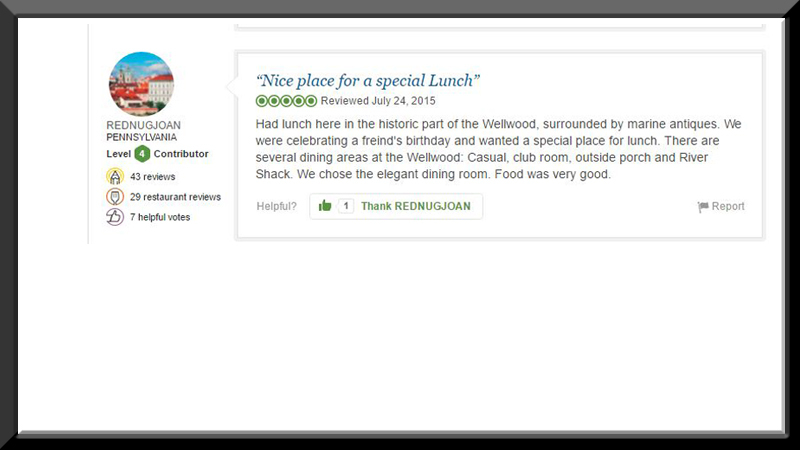 The Wellwood Club room is a casual, friendly dining atmosphere that features comfortable seating arrangements and a 72” flat screen. 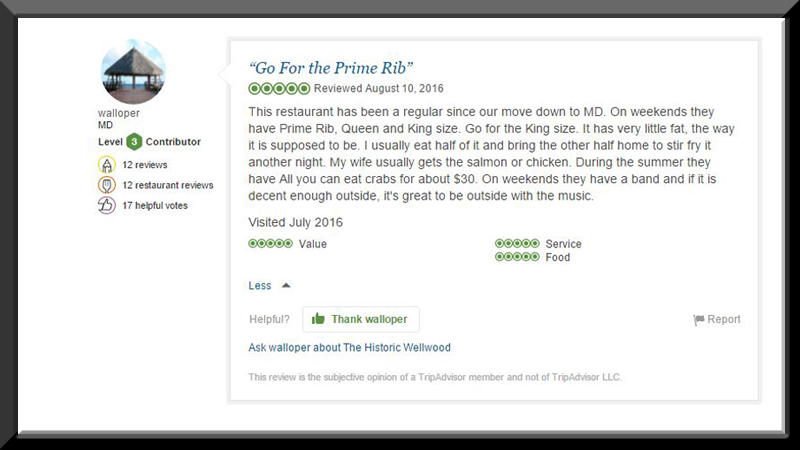 Steamed crabs are available year round – by the dozen or all you can eat (subject to availability). 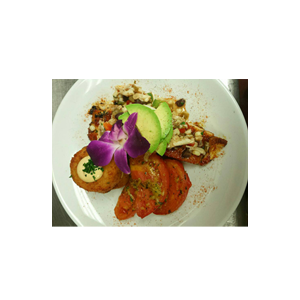 We offer nightly dine in specials each week. 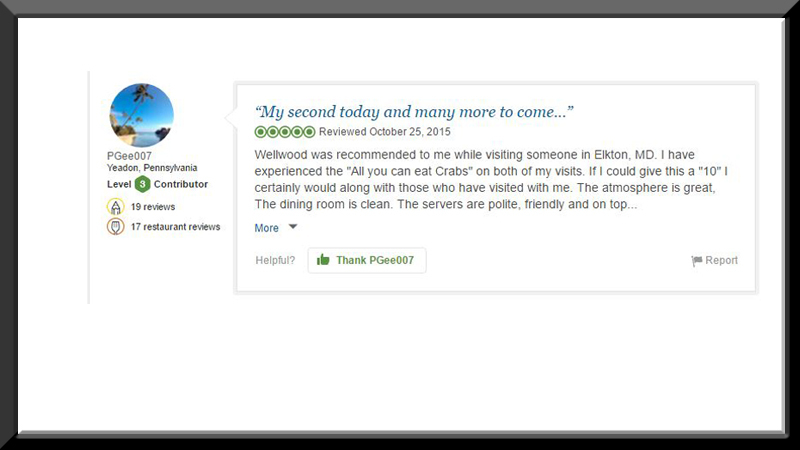 The Wellwood Club room is a great area for an informal business dinner, a family gathering, or watching your favorite sporting event. 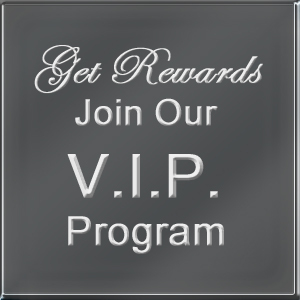 You can also join our VIP Club for special discounts and promotions. 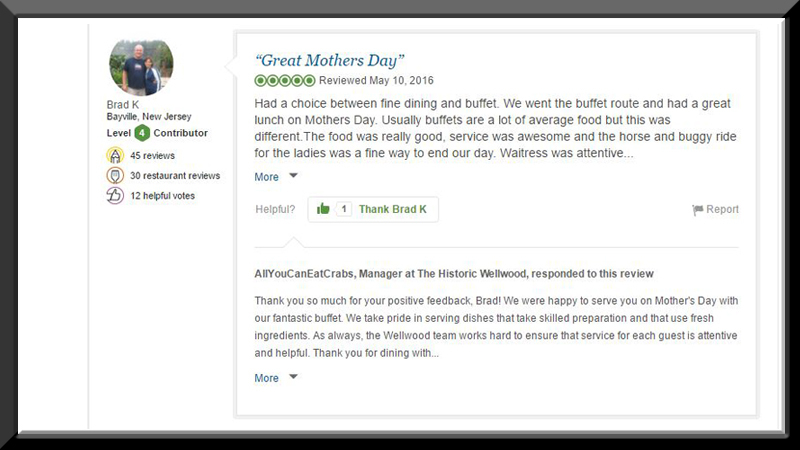 We offer group Crab Feast options for groups 30-300 on-site at the Wellwood or off-site at your location – contact us for details! 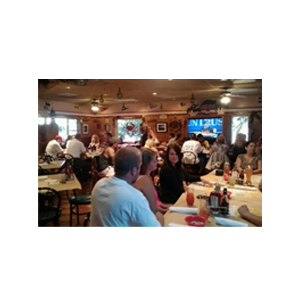 Visit our Facebook page or our events page to stay up to date on events and entertainment. 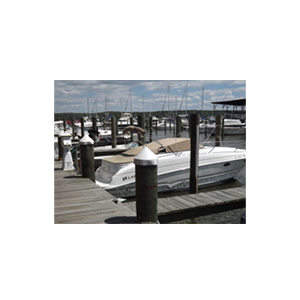 Don’t wait until the weekend - We offer exciting weekday specials as well! 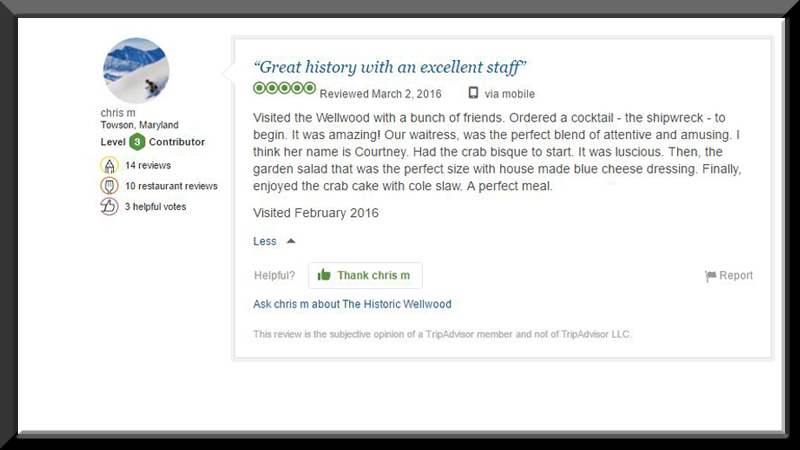 Have your next special occasion or private event at The Wellwood and let us make it everything you dream it to be! 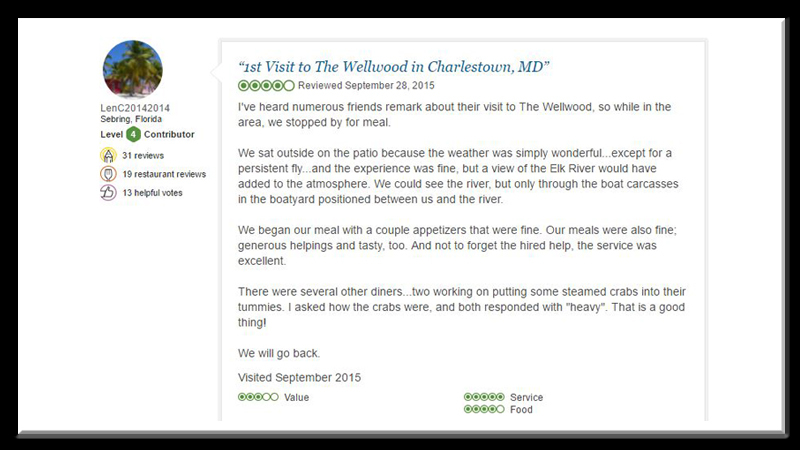 The Outdoor Patio at The Wellwood - Casual Dining - Enjoy The Best Crabs in Maryland ! 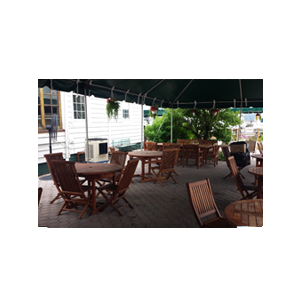 The outdoor patio is a great place to relax & unwind while enjoying your fresh Crabs and Seafood. This dining area is furnished with teak wood furniture overlooking the North East River. Watch the boats go by and enjoy this unique atmosphere in Historic Charlestown. During summer weekends we have live music that will have you dancing the night away. 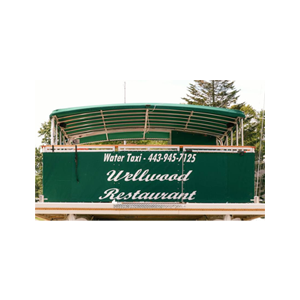 Celebrate your next special occasion or private event with The Wellwood!